The Royal wedding between Prince Harry and Meghan Markle was not only the cosmopolitan event of the year, but also a good opportunity to revise summer fashion. Royal weddings may have been a good lesson in the evolution of the monarchy on British soil – but have they really changed significantly, or will Meghan Markle be the next «Victim»? – Indeed, at the same time it was an important indicator for the season’s fashion. 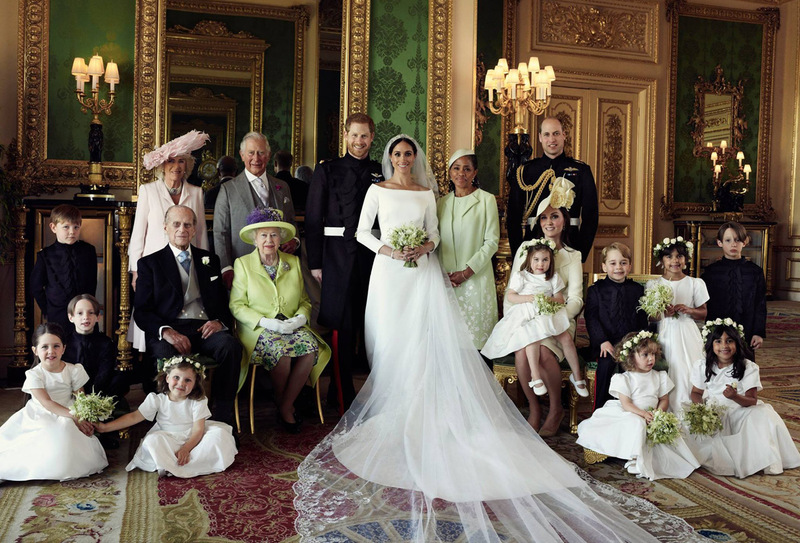 The bride herself gave the general command with a series of impressive appearances, starting with Givenchy and the wedding dress made by the hand of the British Clare Waight Keller and concluding with the white long dress created by Stella McCartney especially for the evening reception. And many may have criticized both looks for their simplicity, seemingly at least, and for their not as flawless fitting, but, if we are to be completely honest, no one can accuse them of not having shown the natural beauty and elegance of the former television star and now Duchess of Sussex. Following, therefore, the common doctrine that wants appearances of the aristocrats (even by marriage) to create trend, we show all the small and great elements that will surely influence the way we dress this summer. Perhaps the evening dress of Stella McCartney was chosen by Meghan to have a high neck, her wedding dress, however, had a neckline in a characteristic Givenchy design, which lets the clavicle emerge and it is called «bateau» (from the French word for ship) or very often «Sabrina», from the movie of 1954 and the evening dress that Audrey Hepburn wore then. This particular design is much more flattering for the feminine silhouette than a classic round neckline, since it creates a tall and thin feel and highlights the waist – the same result the neckline «V» has, but the «bateau» is clearly more fashionable as a style. It’s time to renounce the tight Hervé Léger –and not only– pieces that you might have in your wardrobe. According to the royal wedding, it is imperative that the clothes show the silhouette, but in no way should they stick excessively on it. Besides, the wedding dress and the next dress Mrs. Markle has chosen for the happy and important day of her life emphasized her flawless body without, however, sticking on it like a second skin. The trend was followed by other celebrities at the wedding, like Carey Mulligan, who chose a floral ensemble Erdem, or Amal Alamuddin, who trusted Stella McCartney for her admittedly impressive yellow dress that «licked» the famous lawyer’s feet without featuring the hip. Read more about the wedding of the year and how it affects your style HERE.